When organising a conference, many decisions need to be made, but the choice of venue is the one decision that will have the largest impact. 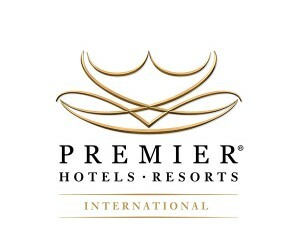 This, according to Grant Sandham, Group Sales & Marketing Manager at Premier Hotels & Resorts. When it comes to saving on expenditure, selecting a venue like Premier Hotel Cape Town that offers amenities such as on-site parking, audio-visual equipment and a business centre is a must. This negates the need for additional hiring, whilst helping to ensure a smooth-running event since everything is in-house. The newly refurbished hotel features five venues, of which Sunset 2 opens up onto a deck and has a sea view. Sunrise accommodates up to 120 delegates and overlooks the pool area – ideal for cocktail breakaways or creative teambuilding. Capacity is a key concern amongst conference organisers, so look for a venue that can be adapted to accommodate the number of guests as well as the needs of the event such as plenary or breakaway sessions. The recently revamped Premier Resort Sani Pass in Southern Drakensberg for example, now boasts six conference venues and due to its scenic setting and host of activities, is ideal for destination conferences stretching over a few days. The Resort has capacity for between 20 and 450 guests, depending on the conference requirements. Breakaway activities include 4x4 trails off-site to the Lesotho border and highest pub, while a 9-hole golf course is currently in its final stages of maintenance and a Spa which will open soon. While ‘location, location, location’ may be the mantra of the property industry, it should be that of conference organisers too. Ideally, an event should be held at a venue within a reasonable distance from most attendees’ homes or places of work. In addition, if many delegates will be traveling from out of town, a conference hosted near the airport will be beneficial. 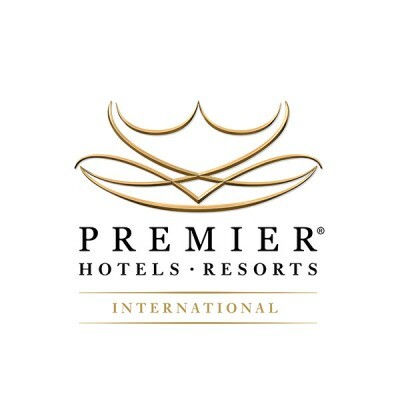 Premier Hotel Midrand, for instance, is conveniently situated halfway between Johannesburg and Pretoria and 24km from OR Tambo International Airport. It features four different venues that can be set up to seat 250 delegates. After a day of talks, conference participants can make use of the free shuttle service provide by the hotel to visit The Mall of Africa. Board meetings and executive strategy sessions often call for more distinguished and private conference facilities where a butler or private chef’s service may be called in for the duration of the meeting. Choose between a free-standing bush villa, river lodge and two additional safari-style lodges for your next strategic planning session just outside of East London. Premier Resort Mpongo Private Game Reserve provides a variety of accommodation options to cater for all conference sizes: a five star lodge equipped with six rooms, a four star lodge kitted out with 25 deluxe rooms and a five-bedroom luxury bush villa. Delegates can enjoy the surrounding wildlife during game drives and safari walks, or opt for a bush picnic experience when not attending talks in one of the Resort’s four conference venues that can seat up to 100 people. A venue’s ambiance sets the tone for the event. While business is generally stressful, conferences (especially those in close proximity to three world-class golf courses) needn’t be. Venues such as Premier Resort The Moorings (Knysna)has a serene, natural setting that enable delegates to unwind before, during and after the conference. Situated on the banks of the Knysna Lagoon and offering tranquil forest views, the Resort’s conference facilities include five large function rooms capable of hosting up to 240 delegates. Having direct access to the lagoon with its own jetty enables companies to launch their own boats for a lagoon event. Alternatively, delegates can enjoy daily excursions on the John Benn, a double-decker floating restaurant offering daily lagoon cruises to the Knysna Heads. “Conferences and meetings have very specific targeted outcomes, but a memorable event is often judged by its surroundings and the activities. Our world class conferencing venues and staff can help make picking the perfect venue easy,” concludes Sandham.